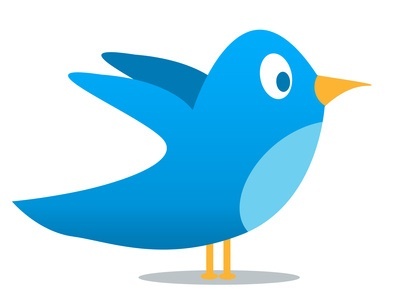 Hospital Marketing: Which Patients are Using Twitter? A look at last week’s most tweeted brands shows that Twitter users are all across the board and hard to define. They come in all shapes and sizes. Advertising Age and What We Trend have collaborated to list the “Top 10 most Tweeted Brands” each week. One would think reviewing the list would give you some very definitive information about who is tweeting the most. But the list is very confusing and reveals that all types of people, at all ages are active on Twitter. You cannot specifically define the Twitter audience. Sometimes it’s tweens, sometimes baby boomers and sometimes its Gen Xers. It varies and varies widely. A look at the top ten brands from the week of March 7th proves the point very well. The list was presented by Simon Dumenco in the March 12th issue of Adage . Number one on the list was the Oscars whose Twitter participants was a “grown-up” audience. Number two was Justin Bieber whose new album “My World 2.0” is due out on March 23rd. This was definitely a teenage audience. Number three was “Alice in Wonderland’. Who tweeted about this? Moms of younger children? Number 4 was Notorious B.I.G. (on the 13th anniversary of his death). And number 8 was Corey Haim (who was found dead on March 10). Tweeters for both of these are arguably Gen Xers. And just to really confuse things, number seven was Chuck Norris who turned 70 on March 10. Definitely a Boomer audience there. NBA… as it heads toward the playoffs and Rodney Stuckey of the Pistons was taken to the hospital during a game against the Cavaliers. Lady Gaga, Jonas Brothers and the NBA, all in the top 10? All very different audiences. And the techno geeks did not break the top 10? Very confusing indeed. So Twitter has apparently penetrated a very wide and diverse demographic and sociographic audience. Twitterers cannot be pigeonholed. They are not to be stereotyped. We cannot assume they are all a certain type of audience. What it says to hospital marketers is there is an audience on Twitter that can be very worthy of our efforts to reach. We just have to be creative and provide useful and wanted information. Whatever the audience we are seeking, some of them are out there tweeting.